Micro blooming vinca with amazing flower coverage. 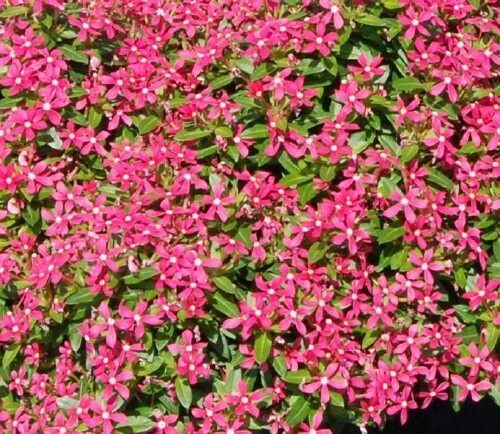 Vivid coral-pink blooms cover the compact mounds of glossy green foliage all summer. Best when planted in a well drained sunny location.